There are only 133 days until the "C" word. I know who really wants to know this in the middle of a stinking heatwave??? However it will be upon us before we know it. Already the nights are starting to draw in. It's now dark until after 6 am. Despite this stinking heat the nights are a little cooler. So it is on the horizon. This year though I am no where near as organized as I normally am, basically because our son is getting married the beginning of January, so it will be a low key Christmas, as we are all travelling to the Bahamas for his wedding. As most of you know I put money in pots each week for various things. Been doing this for years now. I have three pots; a birthday pot, a Christmas pot and a "other thing" pot. I have a healthy $620 sitting in the Christmas pot. So will keep adding too it weekly and it should cover everything. The "other thing" pot will be saved towards spending money and payment towards our vacation/wedding. I put a deposit down with the travel agent the other day so that $300 will come out of that pot. The rest of the money in that pot will be saved and converted into US $. The birthday pot will take a big hit in September as it's Sammy's, son-in-law's and dh's birthdays. The good thing though is I know I have enough money to cover everything, It's a lifesaver those pots. Have you thought about the "C" word yet? Have you made plans for it? hard to believe we are already a third of the way through August? The month is flying by. So I thought I'd do a quick up date on my August goals. 1. Read and review the two books from Graf Martin. Read the books just need to post the reviews. I read and reviewed those two books and read and reviewed another one. 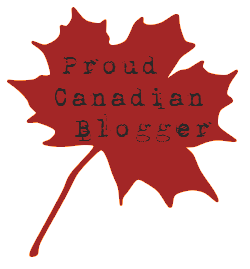 All reviews posted on my reading blog here. Plus I donated 6 books to our local community centre. 2. More painting in the basement, taking this slow and steady. The closet needs to be painted, forgot to do it when painting the walls; then the rest is trim work. Hope to get something done down there this coming weekend. 3. Keep the grocery budget under control, easier said than done. Just over $100 spent this past week. I was doing well only spending around $80, then dh ran out of deodorant, plus we had hardly any soap and I discovered I needed deodorant as well. Three lots of deodorant and six bars of soap $18.25. Now believe me when I say I did not buy the most expensive brands, nor did I buy the cheapest, but even I was shocked at the prices, plus I had no coupons. 4. Keep costs down and spending to a minimum. Easier said than done. 5. Buy myself a dress and dh pants for the wedding in January. Needs to be beachy as the wedding is on a beach, so have to buy now, as there will be nothing in the stores beachy come December. Got myself a dress the other day really nice and very happy with it. Plus got it on sale, so bonus there!! Still have to get dh's pants. 6. Only buy ONE magazine for the month and that will be Pretty Patches. So far, so good! Picked up Wal-Mart's free magazine the other day though, but as I said it was free. Still have to get too this job. I actually did do a menu plan this last week and more or less followed it. Big fat fail on this one. 10. Knit some more hexagons and knit a couple of dishcloth's. The Gap had a good sale the other day so I took advantage of it to buy little Sammy clothes for his 2nd birthday next month. I have money put aside weekly to cover birthday's. 12. Most important, be more organized!! Who knows with this one? In the scheme of things it wasn't a huge thing but it was something we could not do without. Our a/c has been playing up. It wasn't right and we had to keep turning it off. Dh (he's an electrician, not a heating and a/c guy) reckoned it was leaking freon. Now what is unusual about all of this is that our a/c unit is only two years old. Of course at the moment we are in the middle of a heatwave with temperatures hitting 100 oF with the humidity, so not a good time to be without the a/c. Called a service guy out and he came on Tuesday am and basically said yes it could leaking the freon and he filled it with some sort of gas and said he had to leave it for at least 12 hours and would come back at 2:30 pm on Wednesday. Meanwhile no a/c for us. 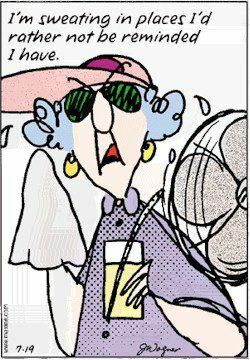 Dh was at work on Wednesday and luckily I had made plans to go to see daughter and grand daughters; and they have a/c. Came back for 2:30 pm, called office at 3:30 pm to make sure he hadn't forgotten about us, and he finally arrived at 4:45 pm. We did indeed have a leak and by 6:45 pm we were back up and running at a cost of just under $500 ($119 per hour labour). We all agreed, this shouldn't have happened to a 2 year old unit. After discussing with him if we should take out a service plan, which costs $30 per month, he said it wasn't worth it, as dh could do it. Dh has indeed serviced our furnace, and what he told dh to do on the a/c unit he could manage no problem. It is necessary in this country I feel to have a/c with our high humidity. However it is surprising how many people do not have it, or if they do they do not turn it on? Dh works in a steel factory where it is super hot, so he is exhausted by the time he gets home after 8 hours in the factory. I am a woman of a certain age who spends her life having those "tropical moments," so having a heatwave on top of those is not a positive thing. Do you have a/c and could you live without it? I mentioned that we were leaking FREON, infact it was probably PURON, as freon is partly responsible for ozone depletion. Pruon is a safer alternative. You can read more about this here and here. Try saying that three times fast!! On Friday I went out for my walk and didn't croak!!! It was so humid though and this was around 6 am. Anyhoo, I saw the paper lady delivering papers so stopped for a chat; luckily I was heading down the hill, as if I was going up the hill that would have been impossible for me to talk. She ended up giving me a free newspaper; we only get a paper delivered on a Saturday now. I had a coupon for free cereal, so picked that up and got free cookies when they came up the wrong price. Now to win the lottery...............well someone has too! Plus I like the sound of FREE MONEY!! Oh and hands up if you are sick to death of this hot and humid weather? I have both hands up. I am so over Summer now; plus everyone is cranky due to the heat. 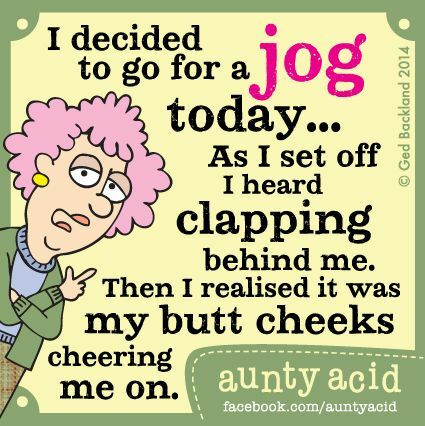 If you have followed my blog you know how I am "allergic" to exercise. 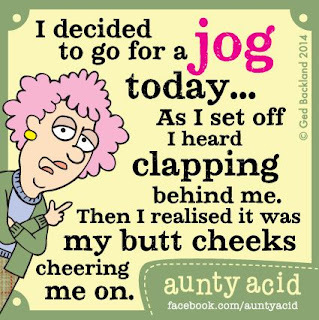 Every time I decide I should exercise something happens. It doesn't help I hate getting sweaty. However I do need to lose weight and the older I get the harder it is to lose that weight. So I have decided to start walking again; but this time takes things slow. We live at the bottom of a hill. There are three roads going up this hill, a road at the bottom and a road at the top. So I have decided to walk along the bottom road, up road one, along the top road, down road three, along the bottom road, then up and down road two. Sounds easy enough right? So I did this route on Thursday morning, took me 21 minutes to do it. Going up the hill, thought I would die, recovered going down the hill, thought I'd die again going back up the hill, but recovered enough going back down to think I would live. As soon as I can manage this without thinking I am going to collapse on the side of the road, I will increase the ups and downs. It's not much but it's a start. Plus if I go early enough (by 6am) not many people are up and can see me!! I was thinking of also doing it on a night around 8pm when it gets a bit cooler as well. We'll see, I don't want to commit too, to much to start with. I am probably not alone when I say I have a love/hate relationship with my cell phone. Cell/mobile/smart phones have always been a mystery to me. I have had my Android Smartphone now for three years and just the other day I discovered a way to clear things off the screen...........turns out there was a button that said CLEAR!! For some strange reason I keep deleting or adding things and most of the time I have no idea how I managed that. I am forever running out of battery, and that's when I have actually remembered to turn it on. Don't bother sending me a text unless I have just sent you one, as I always forget to pick them up. Also I have no idea whatsoever how to pick up a message on the voicemail. Daughter and hubby both have Apple i Phones, and have been on at me to get one of those as then when I screw up something AGAIN, they at least can fix it for me a lot faster. As my contract was up (or so I thought) I wandered over to Bell to talk about my options. Turns out I thought I had a three year contract, but Bell went ahead and got rid of three year contracts in favour of 2 year contracts over a year ago. So I am under no contract and on a month to month basis. So of course this sounds great I am under no contract. Told him my dilemma and he said that he could offer me a 2 year contract with an Apple i Phone the cheapest being $80 a month. I am currently paying $55 a month and am getting more "things." So only an idiot would go ahead and change phones just so you get the most up to date phone. I have better things to do with that $25 a month more it would cost to upgrade. When dh retires we will then reevaluate the situation and probably go with the Apple i Phone. Some people are joined at the hip with their phones, I am not. Are you? I think that is enough for one month.........how about you, have you posted your goals?